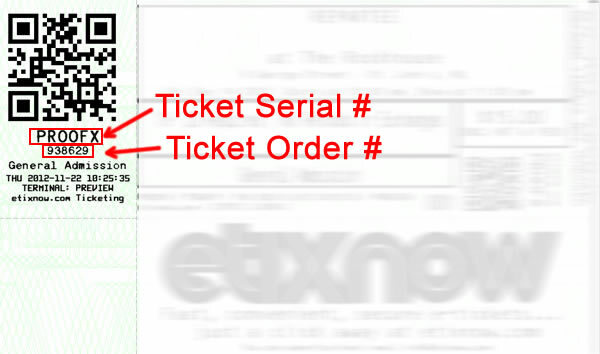 If an event was cancelled and you've been informed that you are eligible for a refund, AND you made your purchase at an etixnow self-serve kiosk, here's what you need to do. If you paid using Visa, Visa Debit, or Mastercard: Your refund will probably be processed automatically. It can take up to 48 hours after the cancellation announcement to process your refund, and then it may take an additional 48-72 hours for the refund to appear on your statement. Please be patient, but if you don't see your refund on your statement after 5 days, you are welcome to contact us and we will investigate. Be sure to provide the ticket details described below! Obtain a Refund Code from us (instructions are below). Go to any etixnow kiosk. Follow the instructions on the kiosk display, and insert your debit card (and enter your PIN) on the PIN Pad to approve you refund, when prompted to do so. You must use the same debit card that you originally used for your purchase. Retain your 'Proof of Refund' receipt for your records. Destroy your refunded tickets, they are no longer valid for use. If usage is attempted, you will be billed for the payment. The related Ticket Order #'s. Please note, your tickets may look slightly different depending on the style of the kiosk you used, but these details will be in approximately the same location. Once you provide your ticket details to us, we will issue you a refund code. It will look something like this: 9991010*928. You need to take note of all digits including the 'star' symbol.